Several years ago I made a trip to England and Scotland. We visited several gift shops and while in Scotland, I purchased several items. 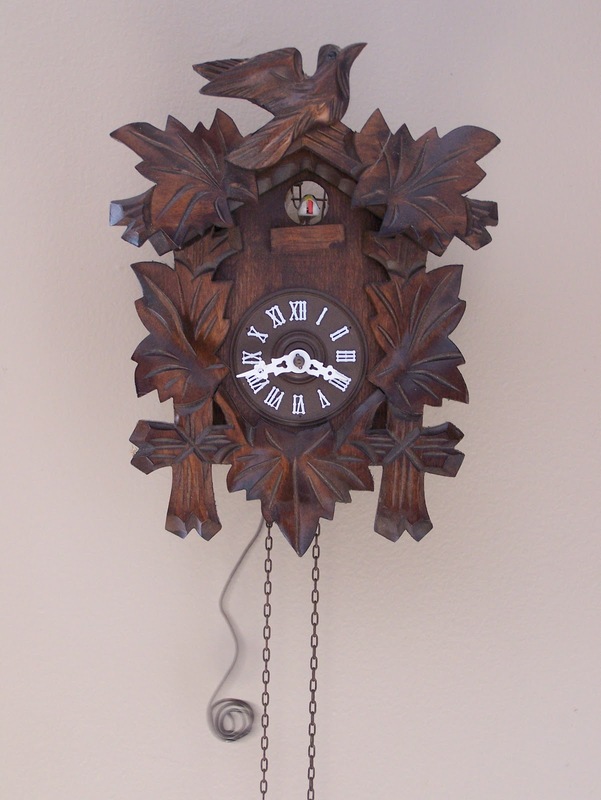 One of my favorites was the cuckoo clock. With the new year, I put it back on the wall. Its rhythmic ticking and quarterly cuckoo (now really just a koo because the cuc is broken) makes it a wonderful addition to our living room. ← Happy Birthday to Yew!